The lovely couple have been working on the launch of the brand since 2015, and is a testament of their love for exploring the world of natural and essential oils. All the oils used in their products are certified organic, and sans any parabans and harmful chemicals. The couple have three beautiful daughters, and how blessed are they to be getting a firsthand experience of organic beauty right at home! How long have you lived in the UAE? We came to UAE in June 2013, so it is now 4.5 years that our family is here. We have been married for more than 7 years now but we are also celebrating 10 years of being a couple. What were you doing before you started Womn Cosmetics? And are you still working elsewhere on the side? Before coming to UAE, for 7 years I worked as a pharmacist and 8 years in R&D and Quality Assurance in pharmaceutical industry. Job in R&D was actually my first job after graduation and it remained my “first love” ever since. That is where my passion for making new products was born. How did you come up with the name Womn Cosmetics? I believe it is known to most of the customers that WoMn stands for Wife Of Mine Nena. You see, Nena, has an extremely big role in WoMn from the beginning. In fact, there would probably be no WoMn cosmetics if she didn’t encourage me and kept pushing me all the time. Only possible way to give her appropriate tribute was to make her the most recognizable part of everything we do – the name. Why is organic beauty so important? Ingredients from organic skin care products are the same one that our body and cells are made from. Because of that, organic and natural products can more easily interact with our cells, helping them to restore its normal function. The result of that natural interaction is healthier, better looking, radiant skin capable of withstanding harsh everyday environment. When coming up with new formulations, what is the thought process behind it? And how much is it influenced by Nena? What was the very first product created under your label? It might come as a surprise to some, but the very first product we made was not a skin care product that we are now recognized for. It was in fact Hair Moisturizer. At that time, in the late 2015 Nena was experiencing a classic problem almost all women in UAE experience at least once – very dry, frizzy and dull looking hair. So when she asked me if I can help her in any way the Hair Moisturizer was created and WoMn started to roll. Do you have personal favorites? You mean, except my wife and daughters? 🙂 jokes aside, i myself am using the face wash, and antiaging serum/eye serum combo on my forehead for seborhea. Which products do each of you use on a daily basis? I am, on the other hand much more conservative and I use “only” face wash, Anti-ageing serum and Eye serum. You have three daughters! Are they also big advocates on organic beauty? Here a bit of a personal info, we are a blended family, this is a second marriage for both of us. So we have mine, yours (hers) and ours. All three girls. My daughter who is 15 lives in Croatia with her Mom. And Nena’s daughter from her first marriage is obviously here with us and our little daughter. They both are big advocates of WoMn, but it wouldn’t be fair to say they are advocates of organic beauty yet, because they are both still pretty young. They are being brought up to know the differences and benefits of organic beauty concept, and we are environmentally very conscientious as a family. We recycle waste and recently got water filter installed to reduce use of plastic water bottles. We also try to use as much as practical less harmful foods (brown sugar, brown rice, etc). We haven’t gone fully organic yet, but it is one of our ideas for the future. What are the best-sellers from the range? Vanilla&Lemon face scrub and serums are currently our best-sellers when talking about individual products, but what we are really trying to do lately is to raise awareness of the importance of proper skin care itself. We are focused on sharing our knowledge and experience in skin care among customers and this is where we see our bestsellers – the whole facecare kit. Some of your products are even edible! Which ones are they? Ah, Vanilla&Lemon face scrub is made with the finest dark brown sugar, true natural vanilla and lemon essential oil and you could easily eat it if you want . In a market saturated with beauty products (and many organic brands as well), how does Womn Cosmetics stand out? Skin care market is a specific market with a lot of big names and us small competing with each other for customers. I hope WoMn stands out in dedication to our customers needs. Our main idea is always to help our customers with the right products for their specific skin needs and routine. Not all fo hem have the same timings, habits and way of life. We are dedicating a lot of time and conversation with each of our customers to understand their needs and concerns to be able to recommend the best product or combination of products for them. Many time customers approach us with one idea of the products they want to use but in conversation we all see that something else could be more appropriate. Would you ever consider creating a line of makeup as well? I don’t know what future brings, but for now we don’t plan WoMn makeup line of products. And how about a skincare range for children? 🙂 keeping a few things under the carpet for now. What new surprises to you have in the pipeline? Where can we buy Womn Cosmetics? Is it available for people outside the UAE as well? For now WoMn products can be found and ordered online on our webpage or Facebook account and we are trying with partner companies to make us available to neighboring countries as well. Tezzy’s Favorites from WoMn Cosmetics: I’m pretty obsessed with the WoMn Cosmetics Anti-Aging Eye Serum! Click here for my complete review. And if you are looking for a highly nourishing body butter for the upcoming winter months, I would highly recommend the WoMn Cosmetics Avocado Dream (click here for my complete review). I will be sharing reviews on some more of my favorite WoMn Cosmetics products soon, so stay tuned! 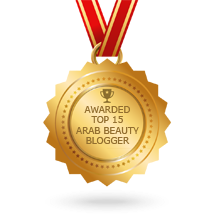 Posted in Beauty Insiders, People and tagged abu dhabi, Beauty, essential oils, natural beauty, online shopping, organic, organic beauty, skincare, UAE, WoMn Cosmetics. Bookmark the permalink.